To see and change how your notifications are set up, click your avatar at the top right of any page in Basecamp 3. 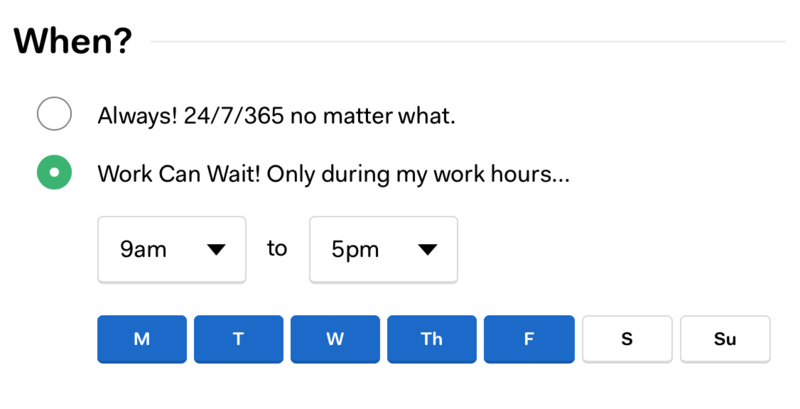 To change the schedule for when you receive notifications, click Change schedule on that pop-up. That way, you can customize when you want to receive notifications, and when Work Can Wait. If you need to snooze notifications while you're in a meeting or at an appointment, click your avatar and then on Snooze for 3 hours. To un-snooze, simply click to Turn notifications back on. To turn notifications off indefinitely (like when you're going to the Bahamas and you don't want a bajillion notifications waiting in your inbox on that sad, sad Monday of your return), click your avatar and then click to Turn notifications off. 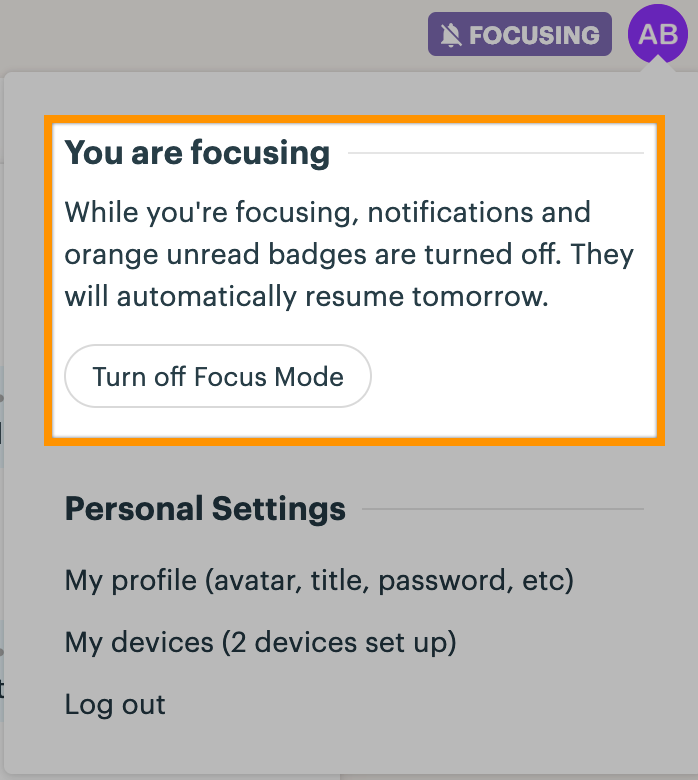 If you need to pause notifications while you're in a meeting or at an appointment, click your avatar and then on Turn on Focus Mode. To come out of Focus Mode, simply click to Turn off Focus Mode. When you're ready, turn 'em back on by clicking the option to Turn notifications on.